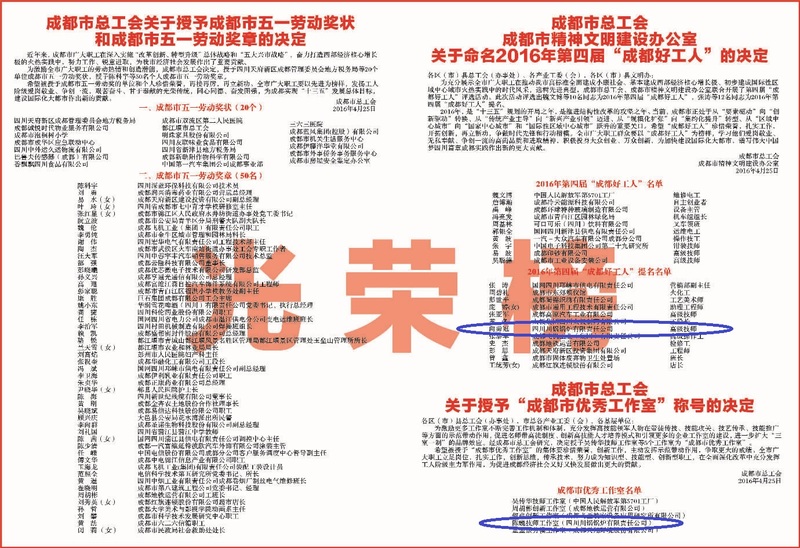 In the 90th anniversary celebration of Chengdu Federation of Trade Union on April 26, 2016, Chen Wei technician workroom of SCBC was awarded the honorable title of “Excellent Workroom of Chengdu”. Mr. Chen Wei is a senior technician of SCBC, and is a pacesetter of welding technology with such honors as “Model Worker of the Ministry of Machine-Building Industry of China”, “Labor Day Model”etc. The establishment of Chen Wei technician workroom is for playing a leading role in the enterprise for specializing in the technology and improving the skills so as to make more contributions to the development of the enterprise. 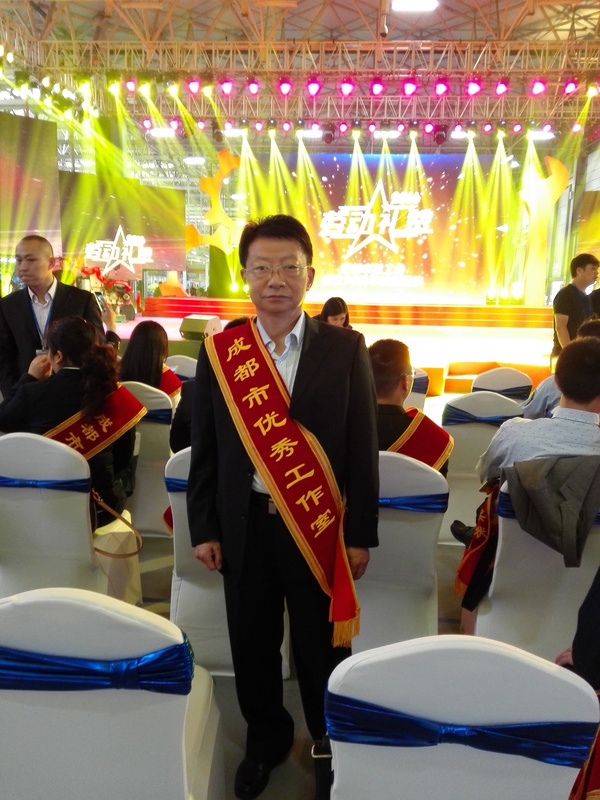 As a core leader of Chen Wei technician workroom, Mr. Chen Wei not only made outstanding contribution to the inheritance of welding technology in SCBC, but also cultivated lot of excellent welding workers for the society.